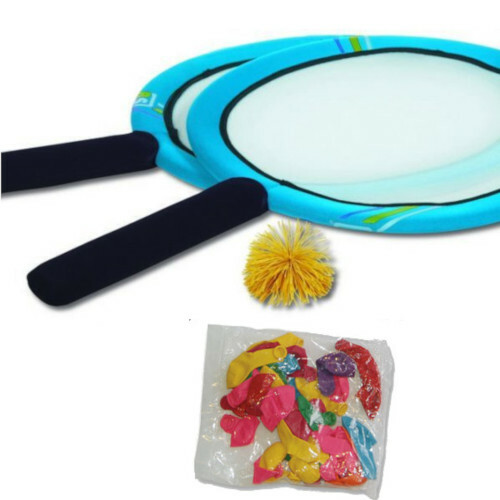 Adapted badminton game with 2 x large lightweight rackets with easy grip foam covered handles, 2 x feathery “kooshie” balls and a packet of ten sturdy regular sized balloons in assorted colours. Players can hit a balloon back and forth over a net or without a net, whilst trying to keep the balloon off the ground. For a more challenging coordination game, participants can hit the kooshie ball back and forth.